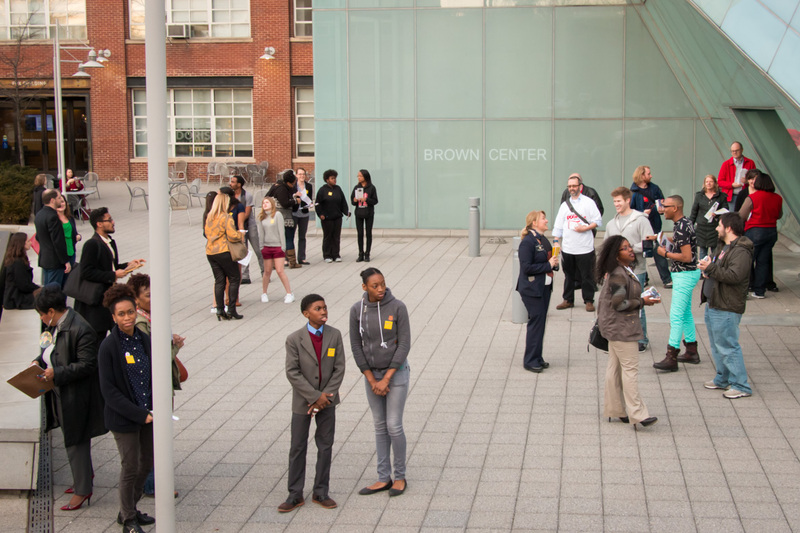 Roles: Creative Director, graphic designer, organizer, video editor, and primary communications manager. 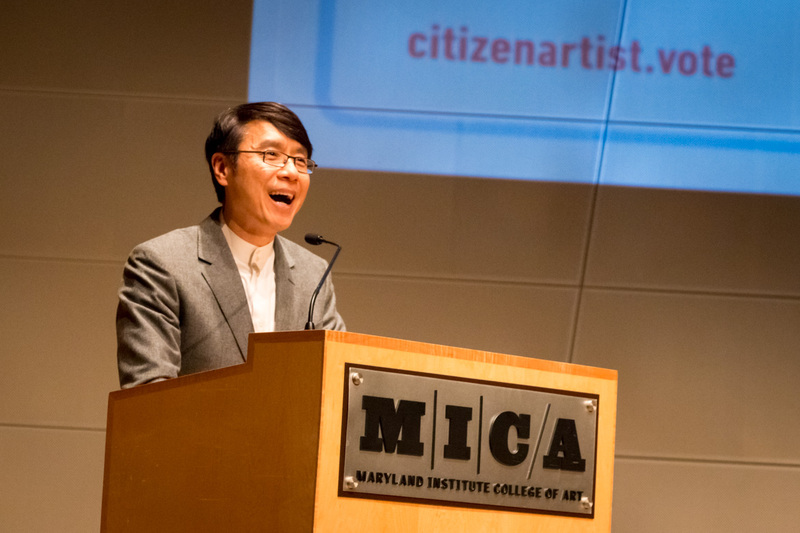 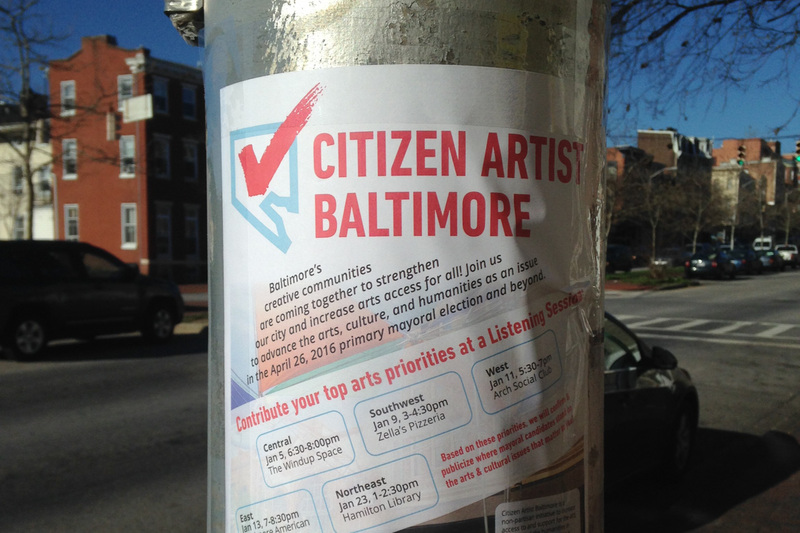 Citizen Artist Baltimore (CAB) is a non-partisan advocacy effort to mobilize thousands of voters within Baltimore City’s creative communities by providing the opportunity for mayoral candidates to outline their positions and goals related to arts, culture and humanities. 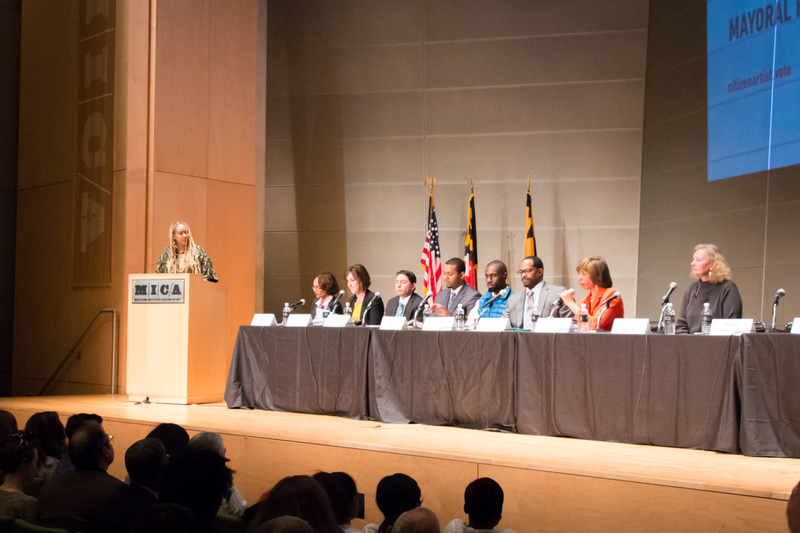 The effort serves as a call to action for individuals, organizations, and institutions to work together to advance inclusion of these issues in the April 2016 Mayoral Primary Election and beyond. 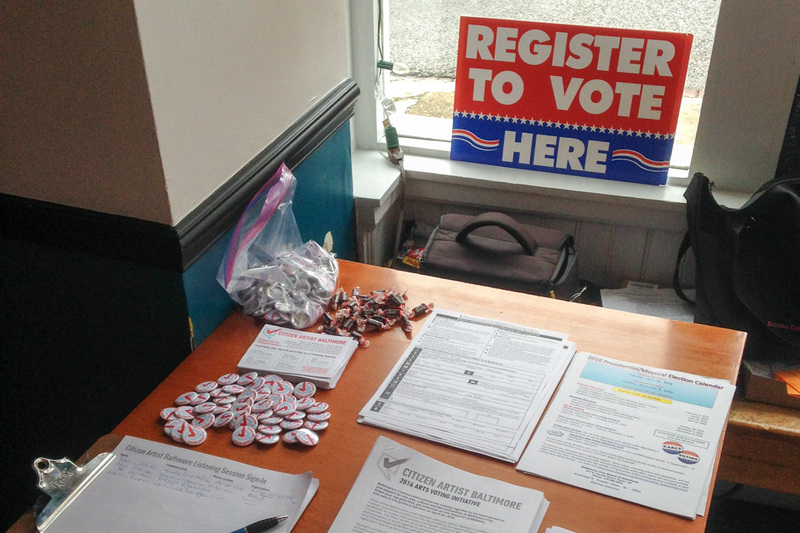 The initiative also encourages voter registration and long-term engagement in the democratic process. 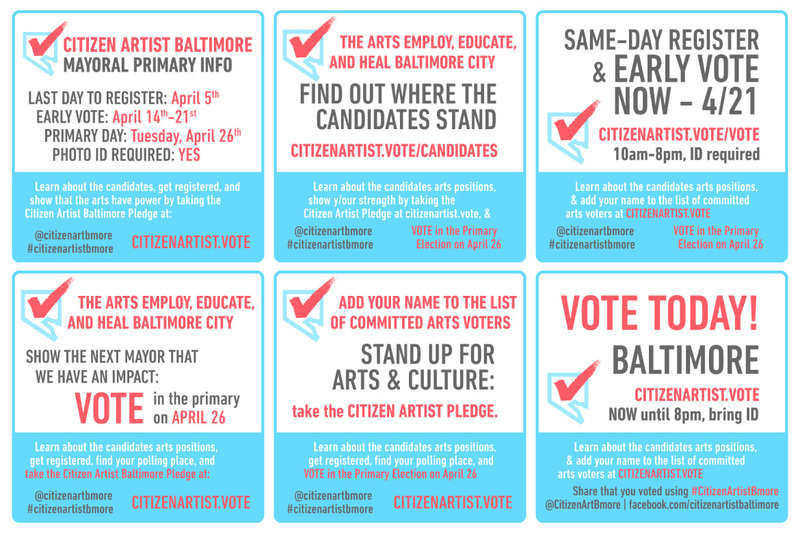 Arts Voter videos directed, shot, edited and promoted by Graham Coreil-Allen. 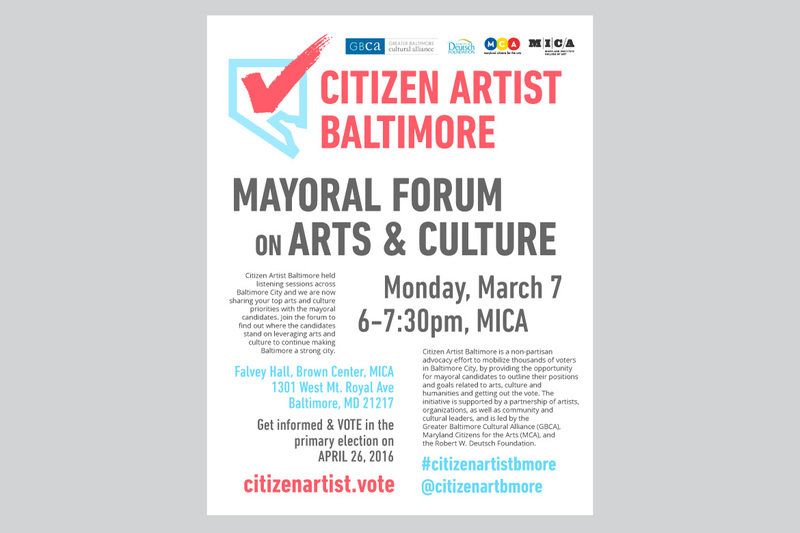 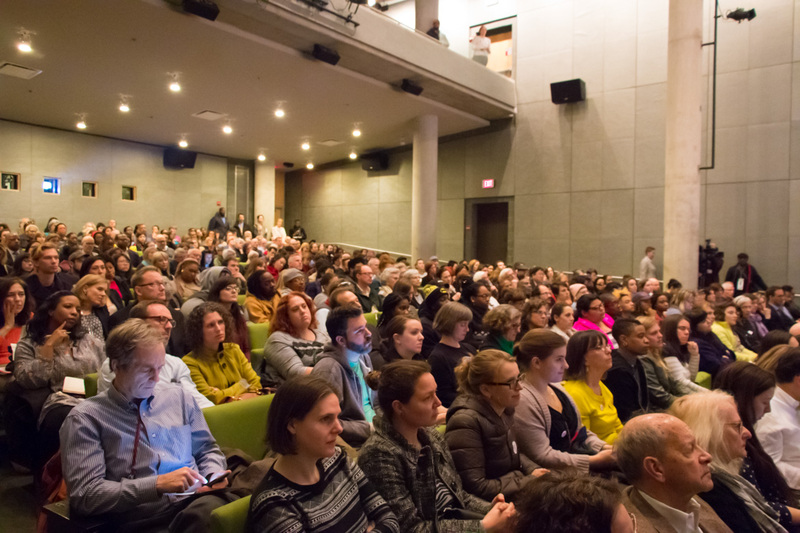 With the help of countless participants, invaluable guidance from our organizational partners and steering committee members, and major support from our funders, Citizen Artist Baltimore was able to include arts and culture as one of the many important conversations leading up the primary election. 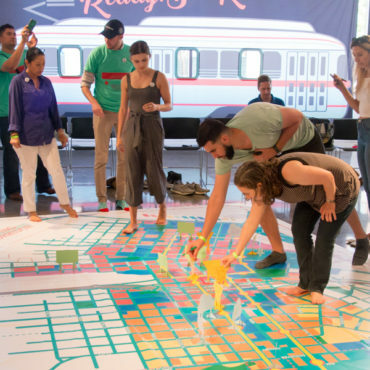 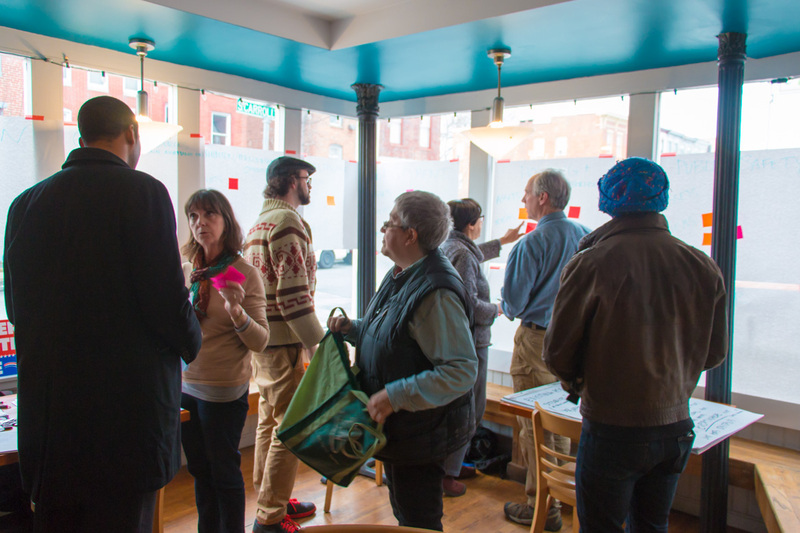 We engaged hundreds of citizen artists during seven listening sessions held at partner spaces across the city. 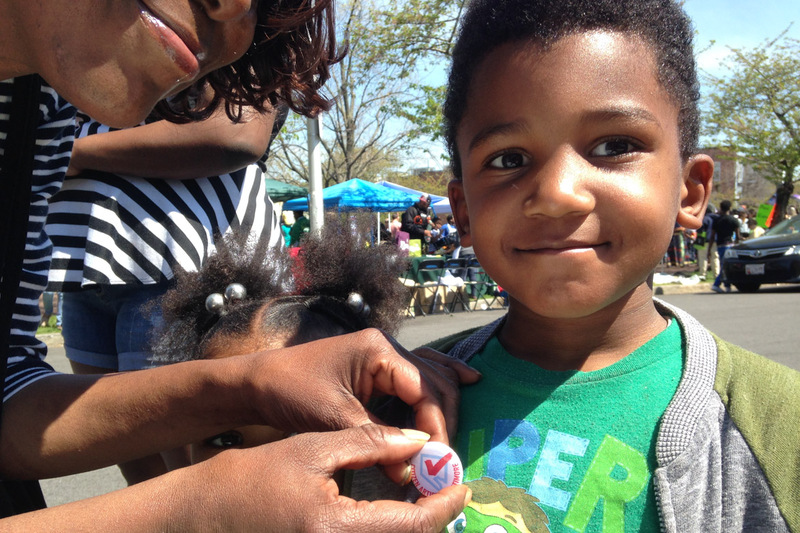 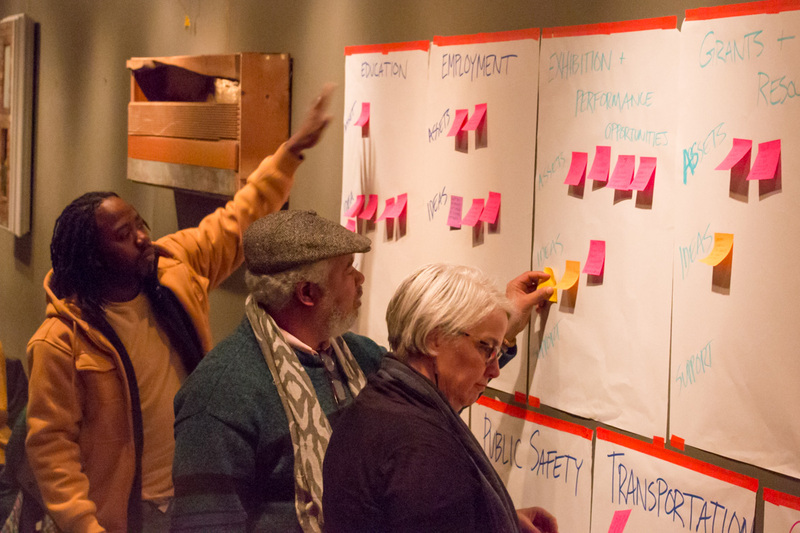 Participants provided thousands of comments on existing cultural assets, forms of support, and concrete needs. 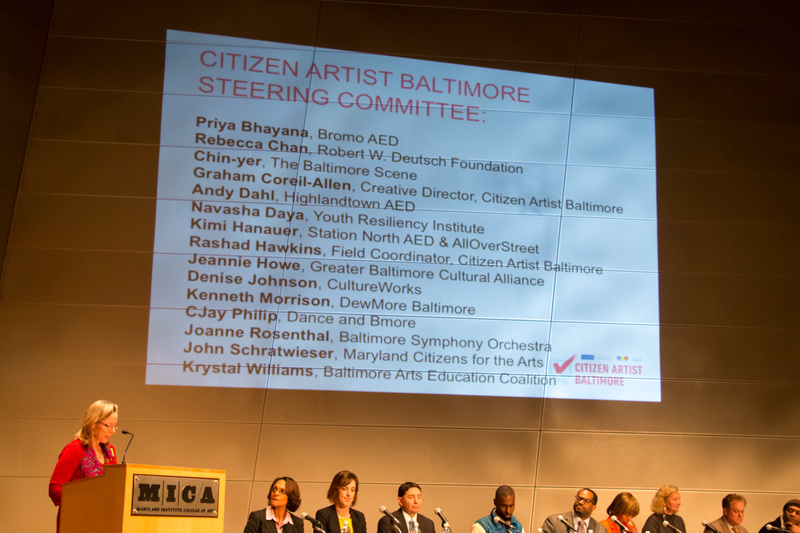 Based on their input, the Citizen Artist Baltimore steering committee developed our priority statements focused on inclusive cultural planning, arts education and equitable access to jobs and funding for the arts. 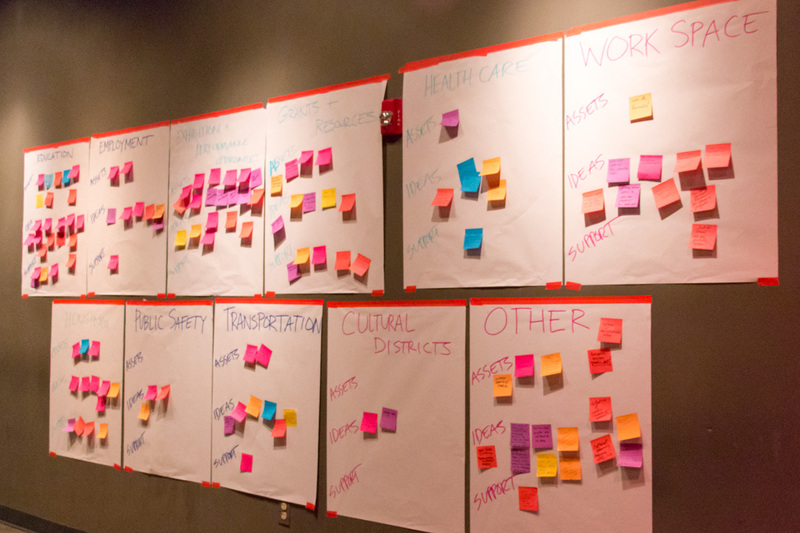 These priorities served as the foundation for the mayoral questionnaire we distributed to all of the party candidates. 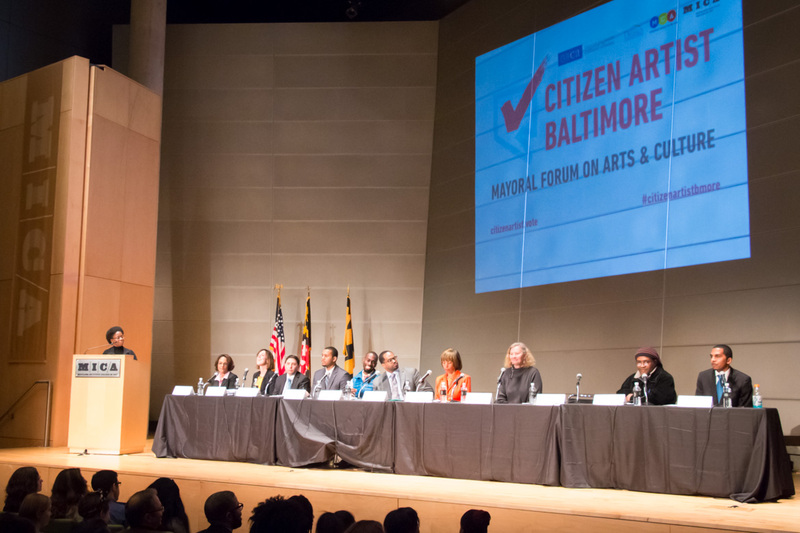 With a nearly a month before the primary election, we secured, published and promoted in-depth responses from eleven of the leading mayoral candidates. 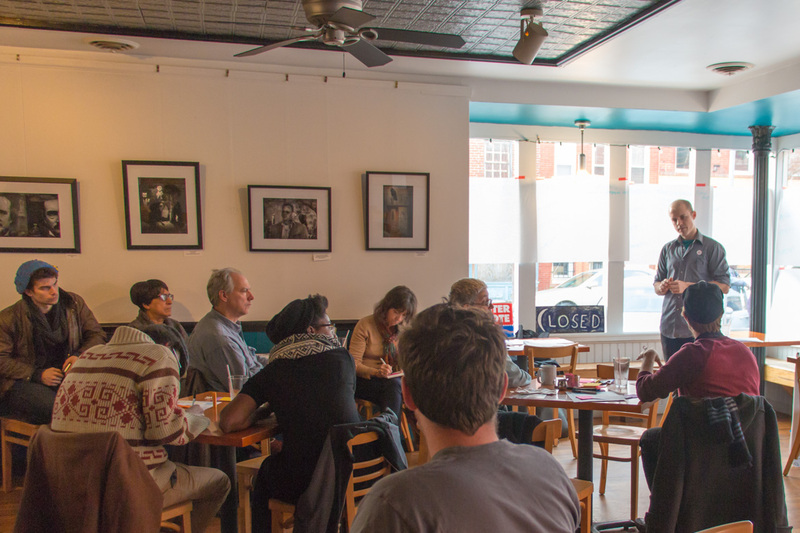 These responses factored into the decision arts voters made at the polls leading up to and on April 26. 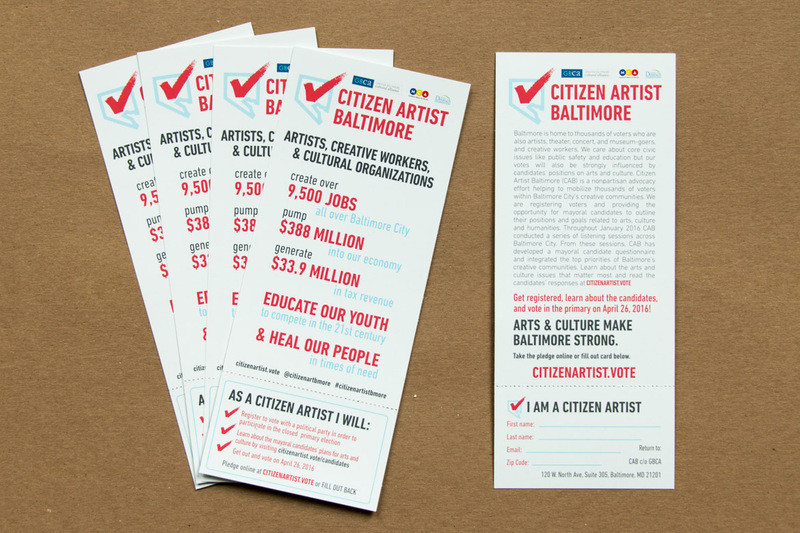 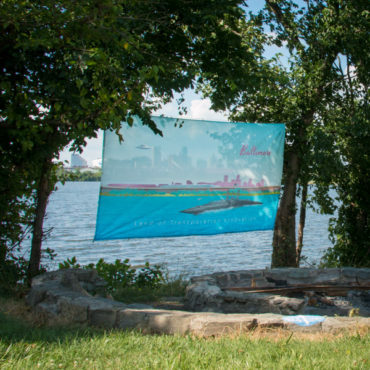 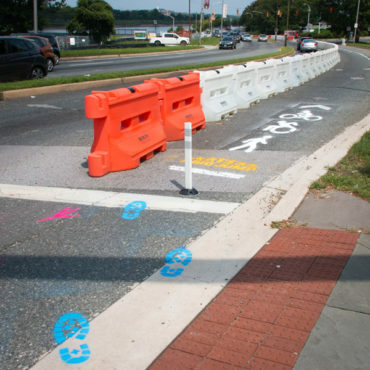 Citizen Artist Baltimore is supported by a partnership of artists, organizations, as well as community and cultural leaders, and is led by the Greater Baltimore Cultural Alliance (GBCA), Maryland Citizens for the Arts (MCA), and the Robert W. Deutsch Foundation.